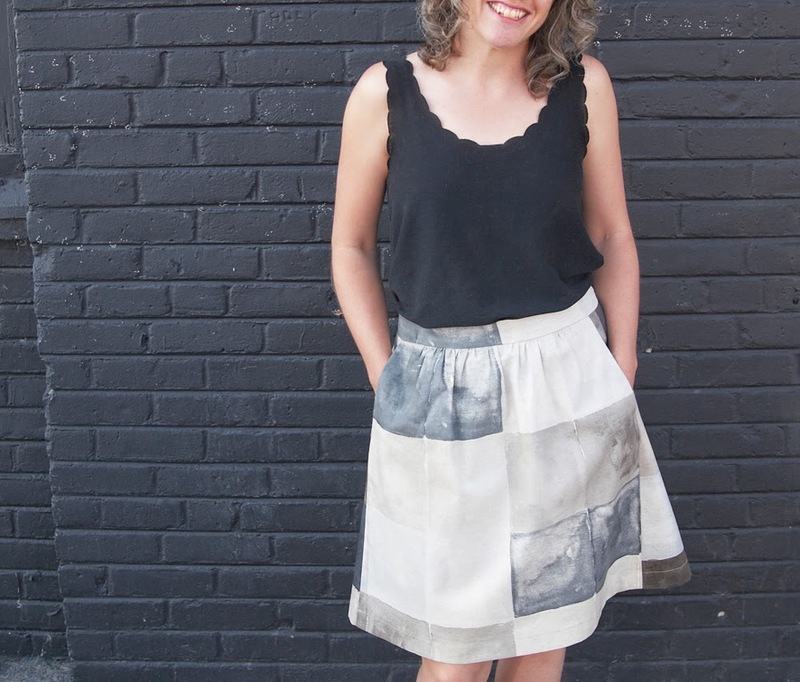 Liesl Gibson wasn't messing around when she named this sewing pattern the "Everyday Skirt." I've made two already, and let me tell you, these babies have been in heavy rotation this summer. 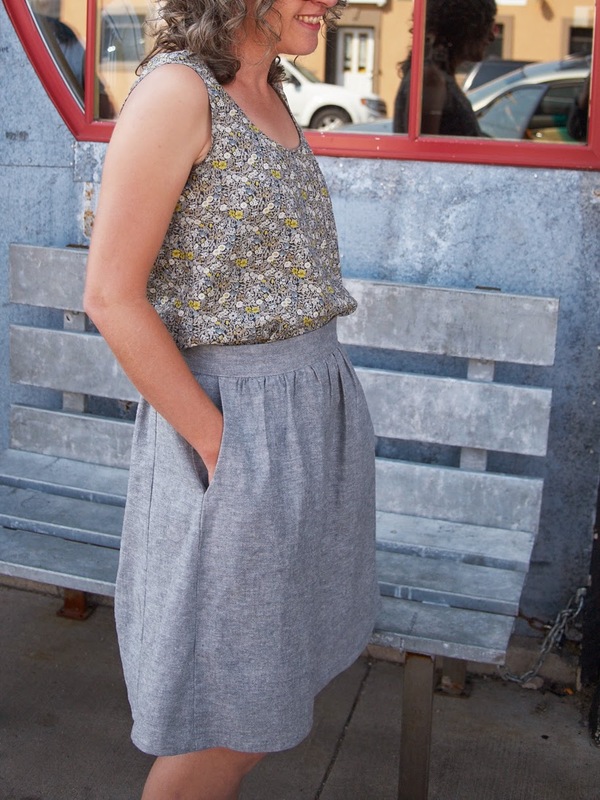 Pattern: Everyday Skirt by Liesl + Co. Welcome to what is likely to be just the beginning of my new Nani Iro wardrobe. I just can't resist. She puts out just a few canvas prints each collection and they are perfect for skirts and bags or anything that needs more structure. This painterly ombre print was just calling my name in its gorgeous neutral palette. 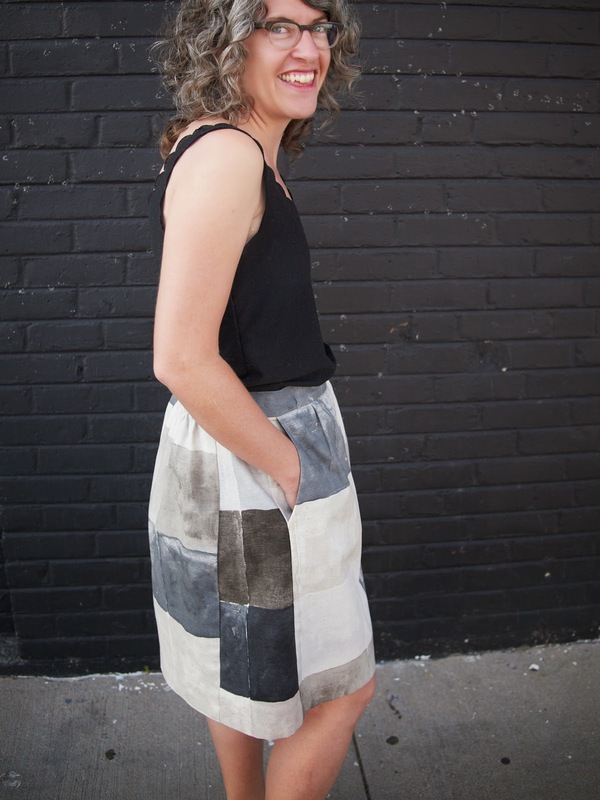 The Everyday skirt features an elastic waistband on the back and some light gathering in the front. The sides are left un-gathered for a flattering fit on the hips. This is an easy pattern to fit - I found it ran just a touch big and sized down to a small from my waist measurement which put me in the medium size. The combination of an elastic waist and full hips makes it easy to adjust for size. Pockets! 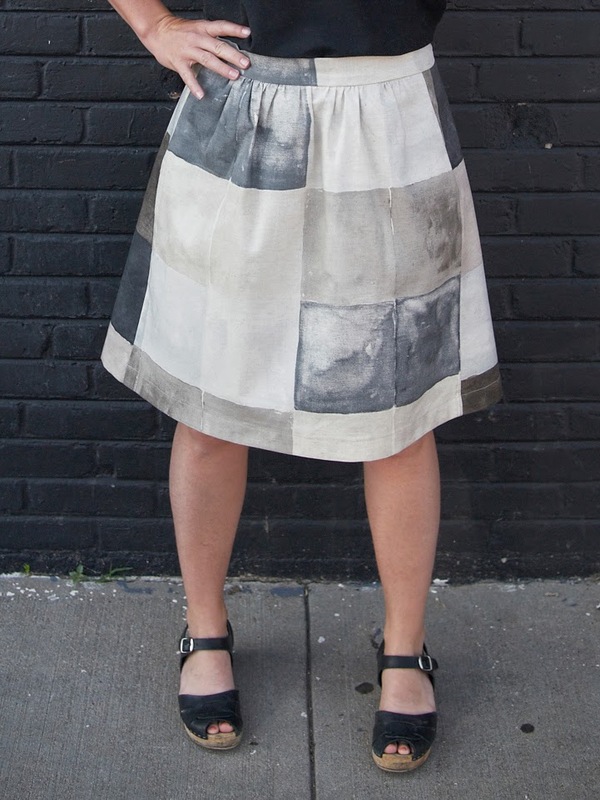 You all know that pockets are the winning key to any wearable skirt. 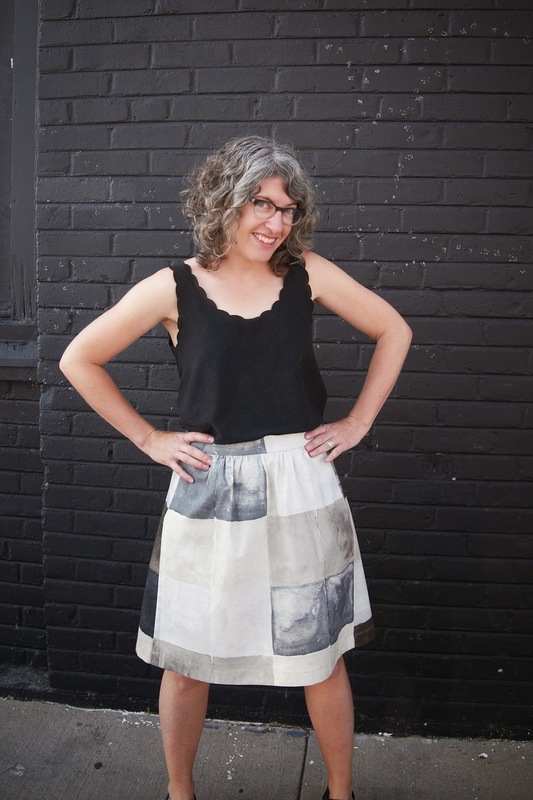 You're not going to be wearing a skirt Everyday without pockets. These ones are easy to put in and sit just off the side seam which incorporate them into the skirt design more. Nice one, Liesl. Oh hey, Brussels Washer. I haven't sewn anything with you in at least a month and boy did I miss you. I love how light and drapey you are. You are so comfortable to wear it feels like I'm getting away with wearing pjs in public. I love that about you. You're perfect blend of linen with rayon means you are light and summery like linen, but without getting so wrinkly thanks to the addition of silky rayon. 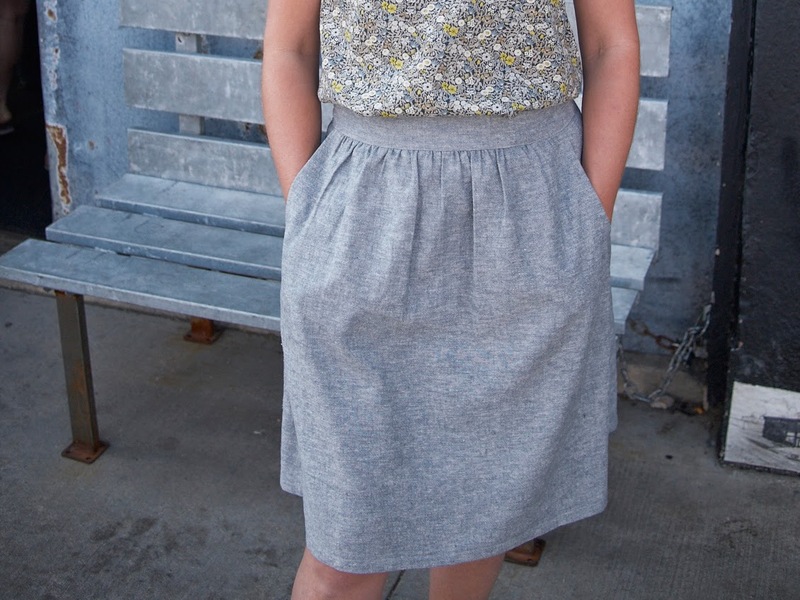 You are so nice to sew with and your pale gray color goes with almost everything. Is it too much if I wear you a few times a week? Oh, excuse me. 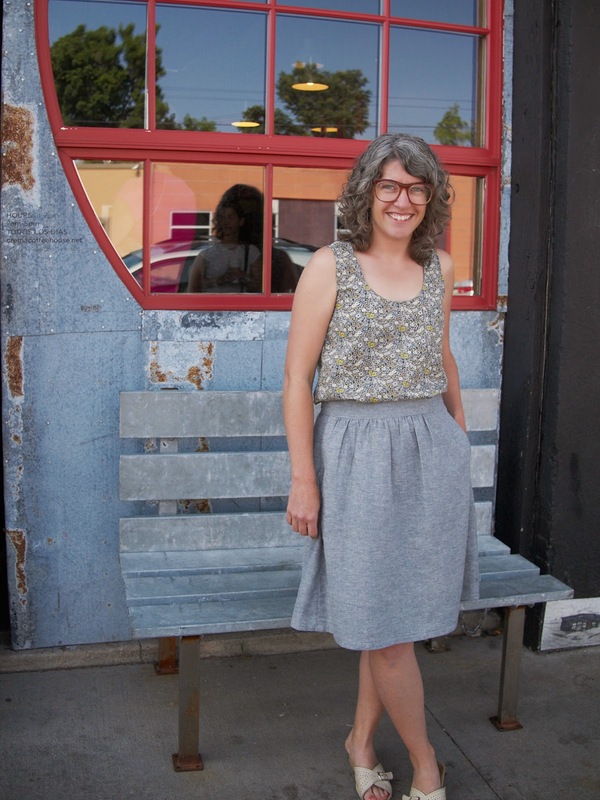 You can pick up your own copy of the Everyday Skirt pattern here. If you need help, we are offering this as a class this summer. Check out the dates here and call us to sign up!